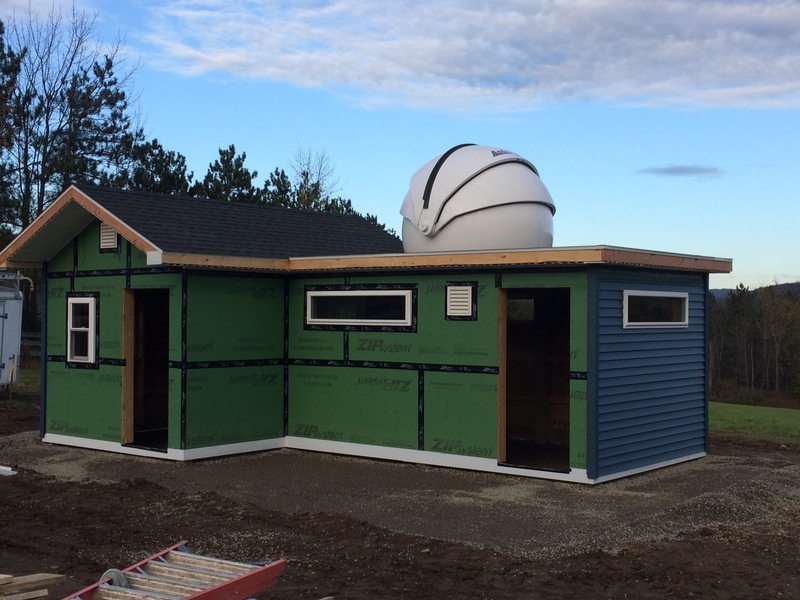 Here's how I built my second observatory. 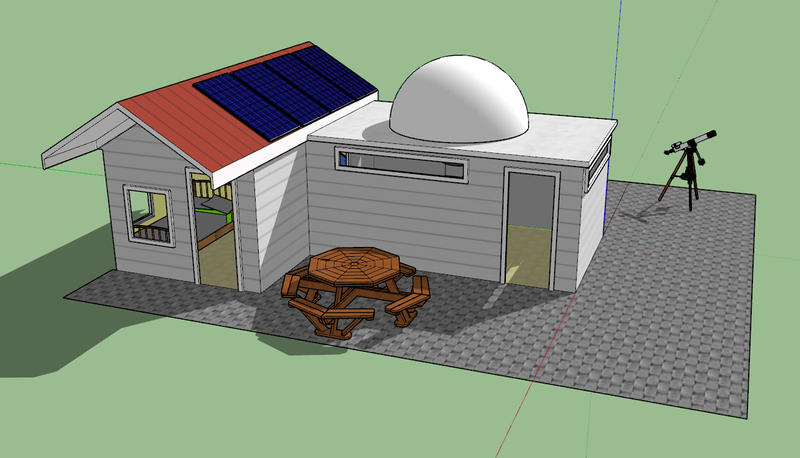 This was designed from scratch using Google SketchUp to create plans and views. (Summer 2017) The job site. 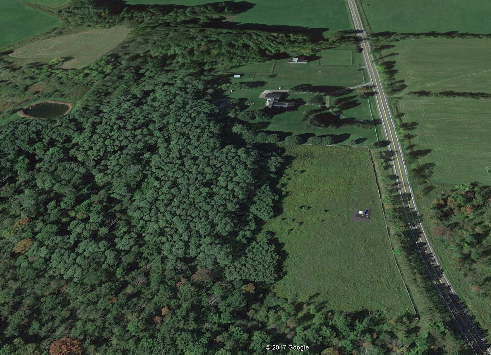 The observatory is in the middle of a 2.7 acre plot, about 500 feet east of the house. Site elevation is 1400'. This view is to the west. There is an unrestricted view of the sky down to within 20 degrees of the horizon. (Summer 2017) The concept - two buildings, small footprint. 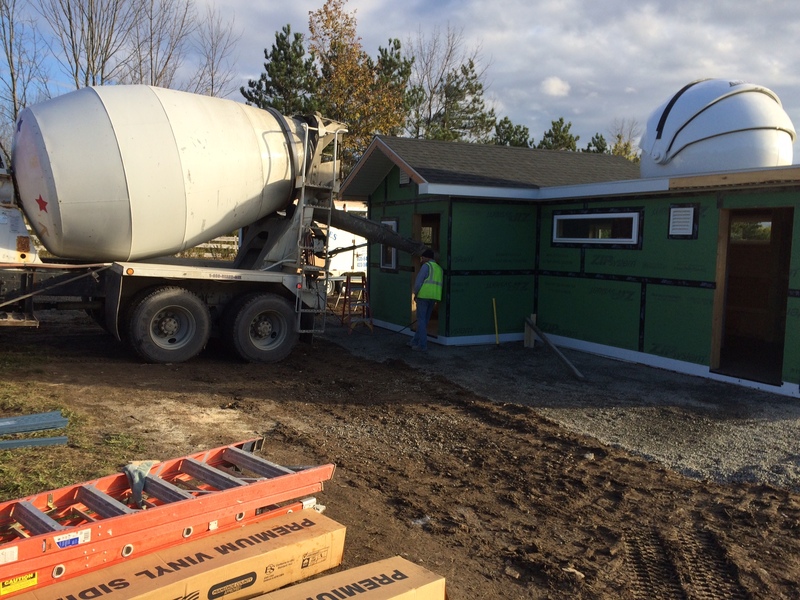 The concrete pad is 20'x30' with two 10'x16' buildings to be joined together on it. Solar power is still in the thinking stage. 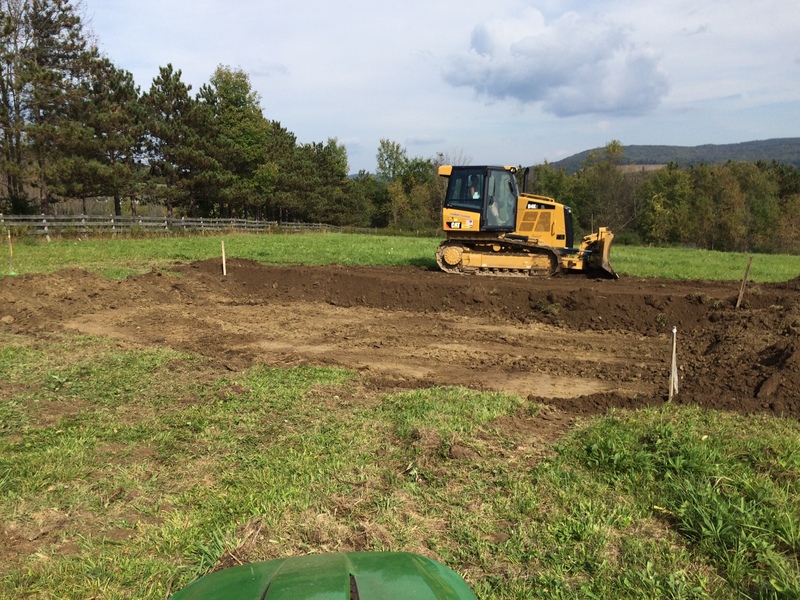 (29 Sep 2017) Stiles Contracting LLC (Virgil, NY) began the project by leveling the ground. 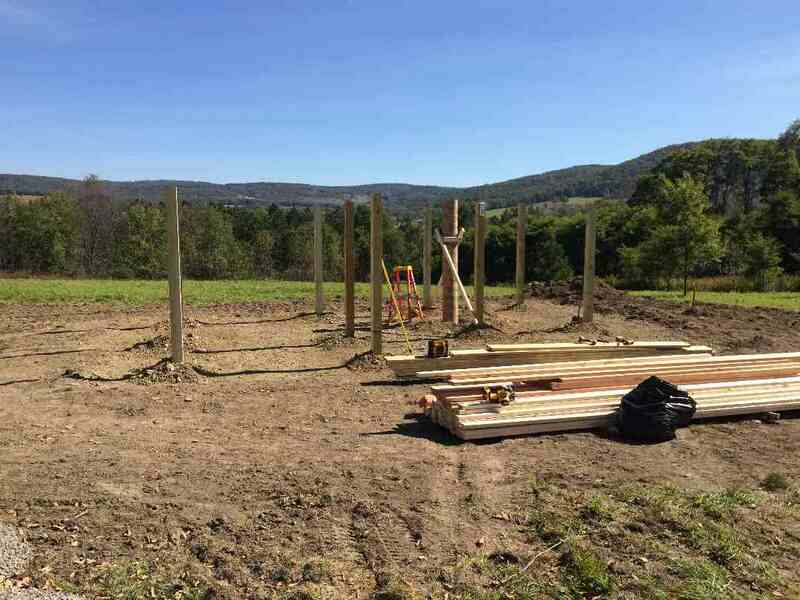 (3 Oct 2017) The footings and the beginning of the framing. The view is to the east. 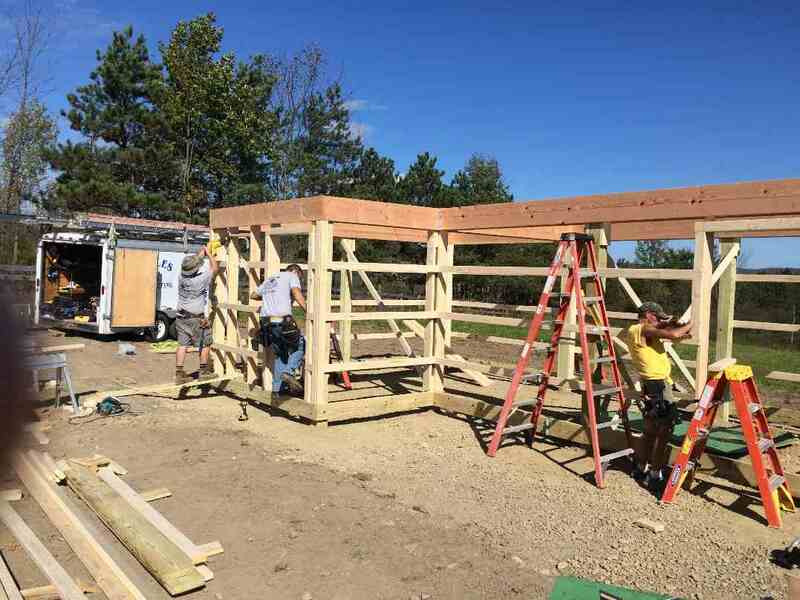 (4 Oct 2017) The observatory is taking shape. 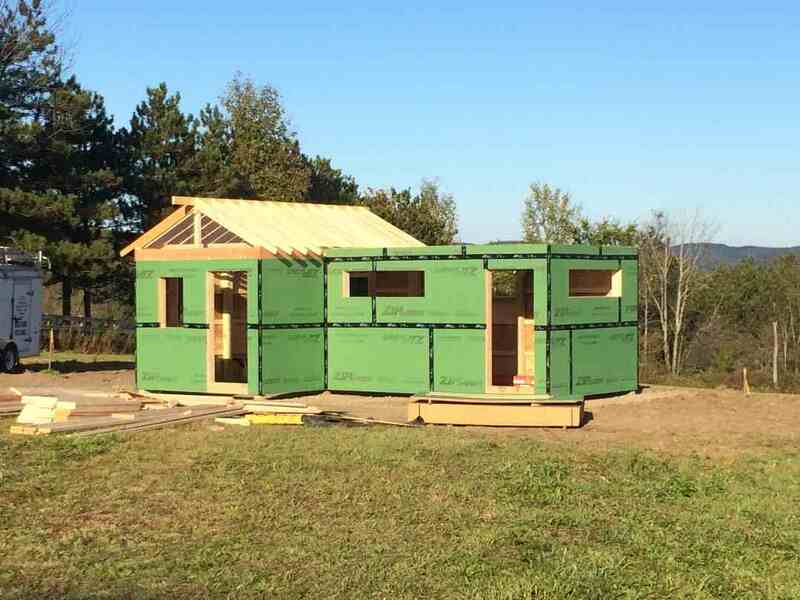 (5 Oct 2017) More shape defines the observatory building. 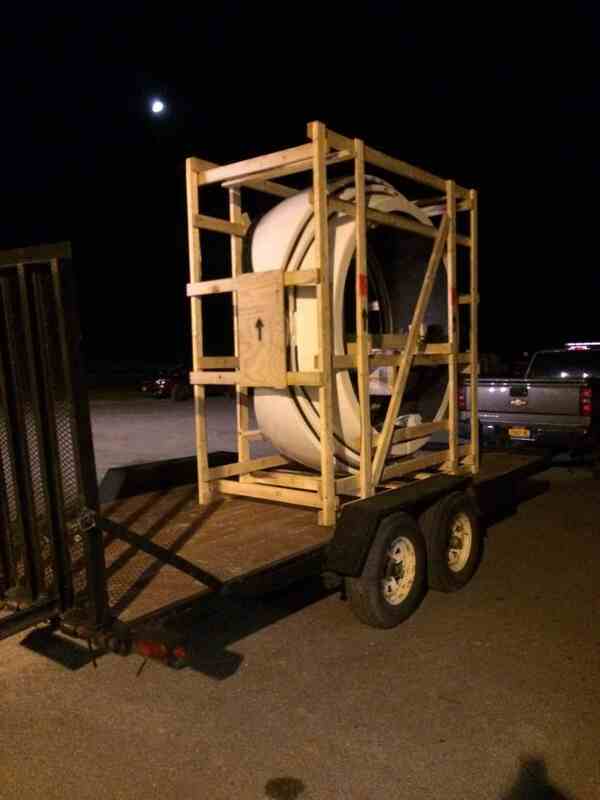 (28 Sep 2017) The AstroHaven dome, shipped from California, arrived on site at 9 pm after a 2,700 mile truck trek across the country. 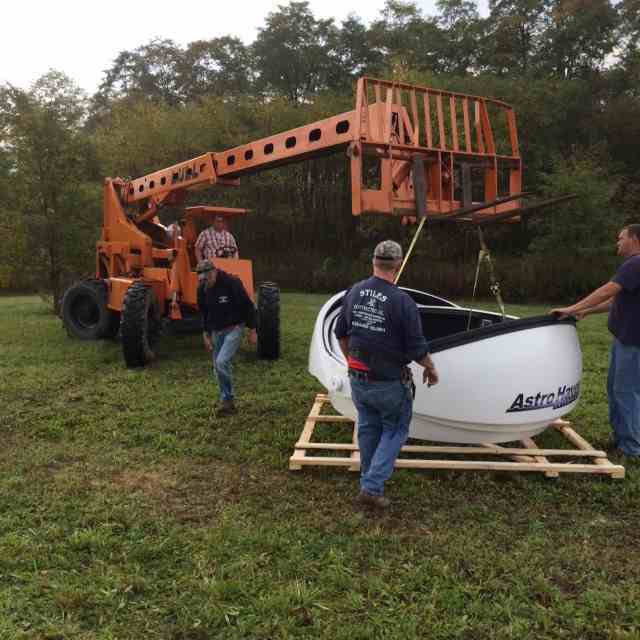 (11 Oct 2017) After taking the dome off the truck, and laying it on the ground, workers prepare the straps needed to hoist it onto the building. The dome is made of fiberglass and weighs only a few hundred pounds. 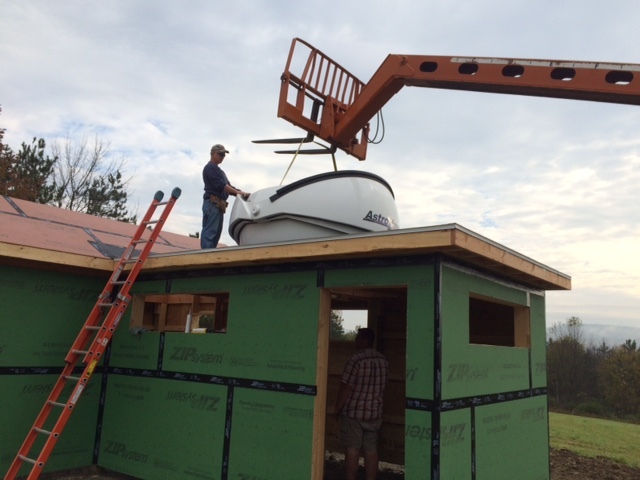 (11 Oct 2017) The dome, seven feet in diameter, is placed over the opening in the roof and secured with bolts. When the shutters are open, their edge is 30 inches above the flat roof. 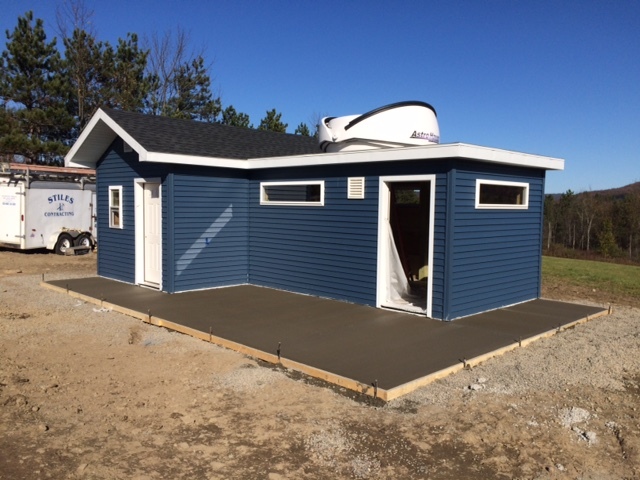 (20 Oct 2017) ... and finishing the siding and trim. The siding and trim match the house's. 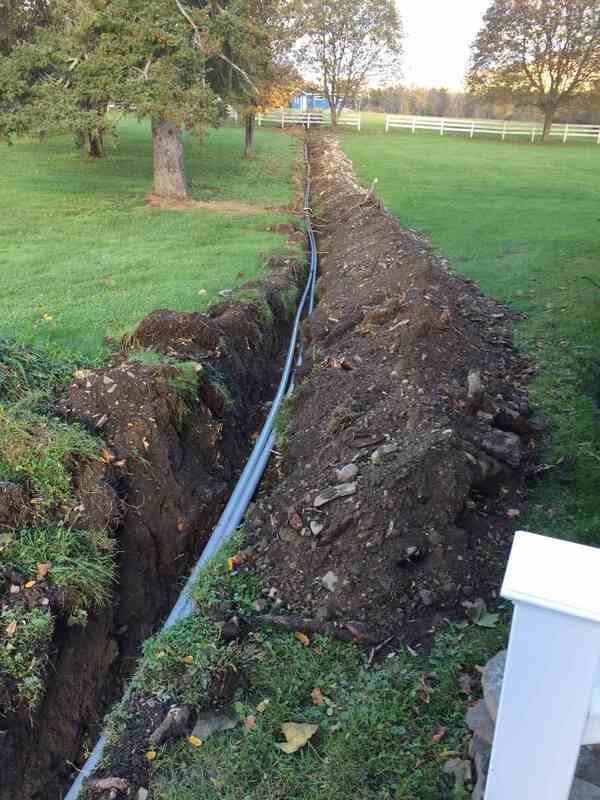 (24 Oct 2017) In addition to building the observatory, there are a pair of conduits from the house to the observatory, a distance of 485 feet, which enclose a 220v AC power cable for power and for a heater, and a fiber optic cable for connecting the observatory to the house router and Internet. 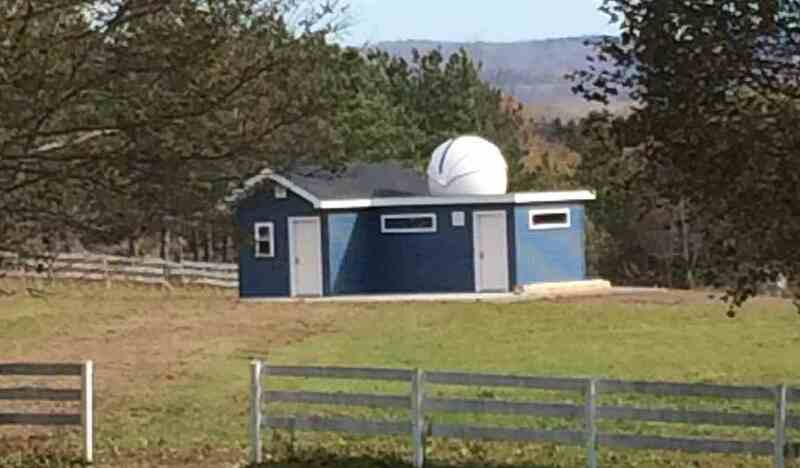 (28 Oct 2017) This is the finished observatory, viewed from a vantage point 500 feet away to the southwest. The long axis of the building is oriented north-south. The doors face west. (28 Oct 2017) The concept, once again, for comparison. Since there is electrical power to the observatory, there won't be any installation of solar cells and batteries. At least, not for now.